Melbourne parents, book in your babysitter, this one is for you. 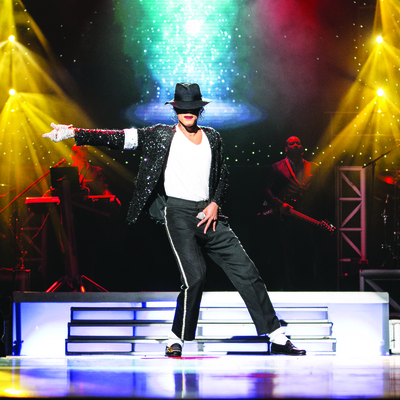 "Legends in Concert" Tribute to the Stars heads to The Palms at Crown Melbourne this January, jetting in direct from Las Vegas. The international musical showcase pays tribute to some of the world's greatest musical artists, bringing together a gathering of highly talented vocalists. "Legends in Concert" Tribute to the Stars sees well known covers by Prince, Elvis Presley, David Bowie, Michael Jackson, Adele and Olivia Newton-John performed live at The Palms. Sit back and enjoy an musical journey of the worlds best known music tracks from past and present. The lavish show incorporates a live band, elaborate stage set, authentic costumes and talented dancers. "Legends in Concert" Tribute to the Stars runs from 18 to 29 January 2017. Tickets are now on sale for the only Australian performance, showing right here in Melbourne at The Palms, Crown Melbourne. Would you like to WIN tickets to see "Legends in Concert" Tribute to the Stars? Of course you would! We've got a double pass to giveaway to one KidTown Melbourne reader, for the 8pm performance on Wednesday 18 January 2017. Each ticket is valued at $79.90, therefore $159.80/double pass. To enter, email us at kidtownmelbourne @ gmail.com, with the title of your email as Legends in Concert, and tell us why you would like to win. The competition ends Friday 23 December, 2016.